Product Warranty: Warranty against manufacture defect for 1 year. 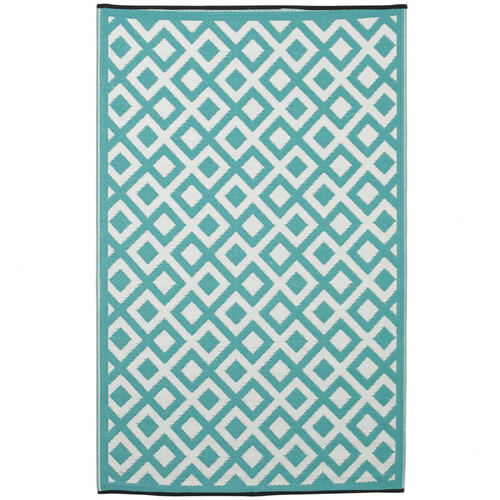 The Marina Sea Green Plastic Rug is a Contemporary style product. Contemporary style bridges the gap between traditional and modern. Pieces feature simple and clean lines with smooth surfaces without any carving or adornment. You can shop for more Contemporary Rugs in the Rugs section of our site. 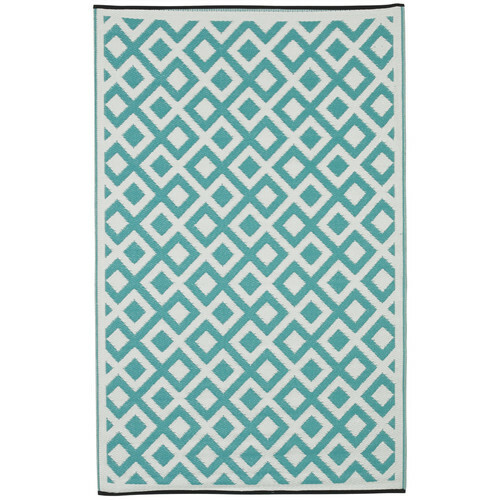 When you buy a Marina Sea Green Plastic Rug online from Temple & Webster in Australia, we make it as easy as possible for you to find out when your product will be delivered to your home in Melbourne, Sydney or any major city. You can check on a delivery estimate for the Home & Lifestyle Part #: 120x179cmMarina/150x238cmMarina/180x270cmMarina here. If you have any questions about your purchase or any other Rugs product for sale our customer service representatives are available to help.Whether you just want to buy a Marina Sea Green Plastic Rug or shop for your entire home, Temple & Webster has a zillion things home. I was disappointed with the colour of the mat. On the computer it looked aqua whilst the real colour is mint, something I learned that what you see is not necessarily what you get. Apart from that I like the pattern and size I chose. The colour is much nicer & brighter than the pic. The size is perfect and the fact that it's plasctic means that I don't have to pack it up every time we use it and it can stay outside. Thinking of getting another one.